Key West is getting some nice sized trout lately and the guys at Dream Catcher Charters on on them. November 7th 2015 – Warm winds from the East with no transition to Winter in sight makes for amazing opportunities fishing the backcountry here off of Key West.. They are all still here. Bonefish, baby tarpon, permit and barracudas on the flats ready to show anglers a great fishing experience.. On top of all that.. We have our Winter species wanting to break into the mix as well with Trout, big jacks and lots of sharks. 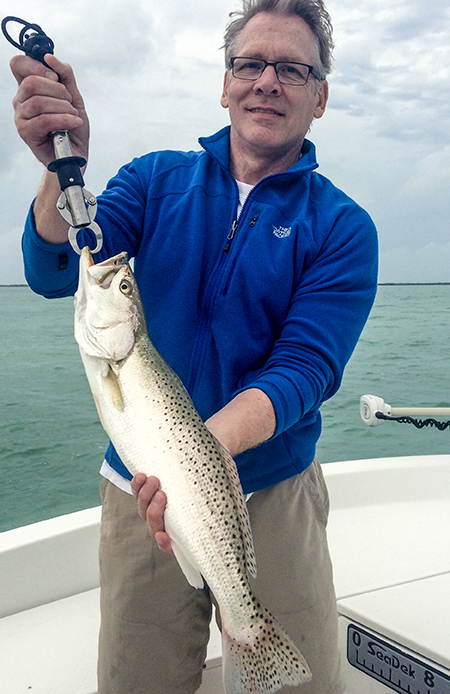 This time of the year is typically a windy and cooler period for Key West fishing. A time where we start to take a beating from cold fronts and old man winter takes over our weather patterns with coolest days dipping into the 60s .. Not so this year so far. We have yet to have our first front or nasty day and the backcountry has rewarded our anglers for it..
As I write this report we have about 5 boats on the water this morning on what I would consider a glorious day to be alive. It was 79 degrees as I left the house this am and now at 8:30 a very nice 83 with some humidity. As I look over my resources here on line with the access I have to computer models for weather forecasting I see that we are in for at least two more weeks of the same weather. In Fact.. By Wednesday of this week we should have super light winds and EPIC fishing conditions.. Typically here at Dream Catcher Charters in November we are pretty slow. Not this year. Our numbers are way up and the fishing guides are at it every day. We are still offering flats fishing trips at least till the 22 of November, I cannot see much past that. Otherwise we use our bay boats and show you a great day on the water even if its a little windy or cool. 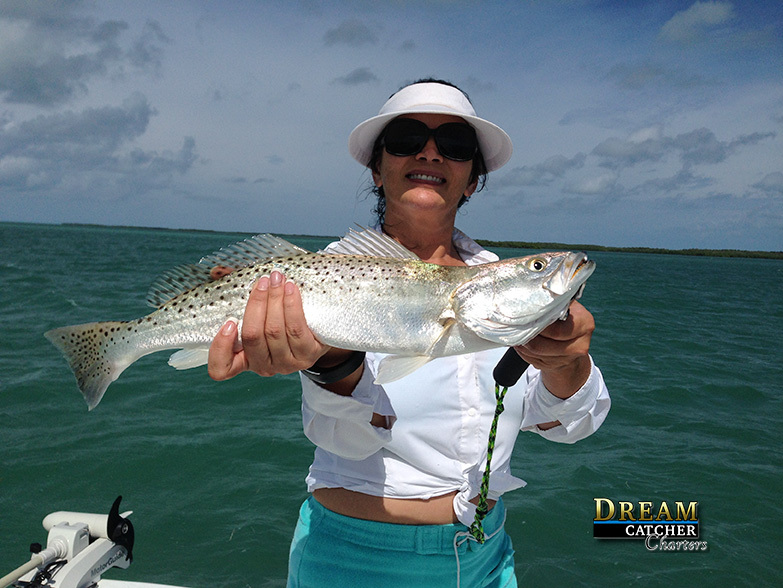 Come see us.. November and the beginning of December is the BEST TIME to come to Key West for great rates on Hotels and a spot on our boats here at Dream Catcher Charters.. Feel Free to call us and see what is happening. Either myself or Island Genn will help you make the most of your Key West vacation.